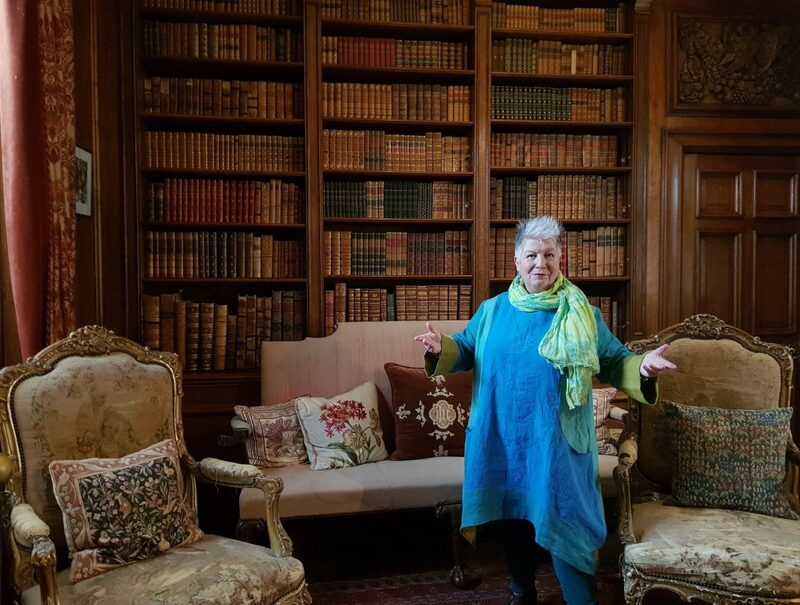 Sudeley Castle has appointed Chloë of the Midnight Storytellers as its first ever Storyteller in Residence. With nearly 20 years’ experience enchanting audiences throughout the UK and overseas, Chloë performs a richly diverse repertoire of traditional and original stories. Appearing at Sudeley Castle events over the coming year, Chloë’s new costumed storytelling persona will be The Paladin, a female knight who introduces junior squires to the rules of chivalry, heraldry, horse care and jousting. In the sumptuous Knights’ Pavilion, Chloë will tell Tales of Swords & Chivalry featuring legends of King Arthur and the Knights of the Round Table plus magical stories from the Arabian nights. Luckily for her new role, Chloë has inside knowledge of King Arthur stories from Old French studies at university. She also knows how to ride a horse, wield a sword and get out of chain mail – and she once worked as ground crew for a jousting show team. Chloë has been a firm favourite with Sudeley Castle visitors since 2013 when her colourful costumed character Agent Green the Dragon Whisperer – who works for DCHQ, Dragon Conservation Headquarters – first told Dragon Tales on the Mulberry Lawn. Since then she’s appeared either as the Dragon Whisperer or as shabby chic Nightshade the Unwise Woman of the Woods, spellbinding audiences of all ages with Fantastic FurryTales plus Lost Legends of Britain and Hallowe'en ScaryTales. For 21 years Chloë lived near Winchcombe in the Cotswold countryside, only moving to Cheltenham in 2017. With hospital treatment taking up much of 2018, she’s celebrating her return to the work she loves – and preparing for the 20th anniversary of Midnight Storytellers in November 2019. “I’m honoured and delighted to become official Storyteller in Residence for Sudeley Castle,” said Chloë. 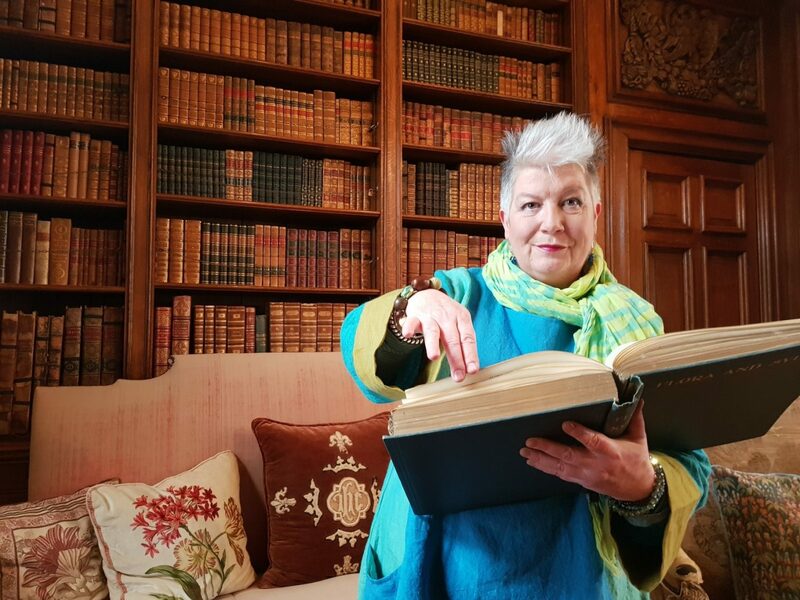 “Sudeley Castle is my favourite place to go in the Cotswolds and it inspires my storytelling. I love giving performances among the beautiful trees and gardens. It’s magical and peaceful – brimming with amazing history at every turn. I look forward to welcoming old friends and new audiences in 2019. This appointment helps me continue my life’s work: to boldly take performance storytelling where it’s never gone before."